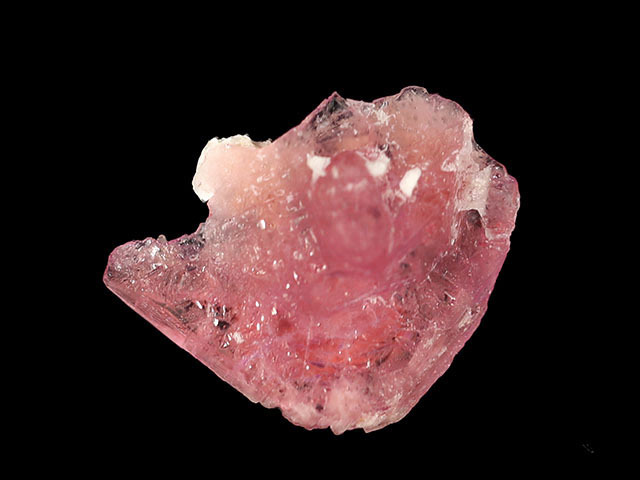 Pezzottaite is a lithium cesium beryllium silicate related to beryl, first noted as bubble-gum pink crystals dubbed "raspberry beryl" at the 2003 Tucson Gem and Mineral Show. Gemologists noted a refractive index too high for beryl. Pegmatite scientists from all over the world came together to describe the new mineral, which they named after Federico Pezzotta, a pegmatite scientist and mineral collector (Laurs et al. 2003). 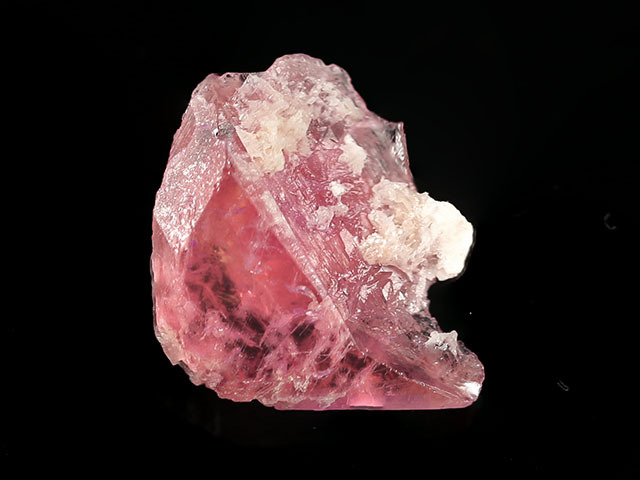 This specimen is a single crystal, showing a partial pinacoidal face, and several vicinal faces, but is largely contacted where it grew up against other minerals. Excellent transparency and good size.